The Soldiers', Sailers' and Marines' Fund was established by the Connecticut General Assembly of 1919 to recognize the sacrifices and heroism displayed by Connecticut's sons and daughters during "The Great War" (World War I). $2,400,000 had been allocated to recognize the contributions of returning veterans. Debate was spirited as to how the funds should be utilized so as to do the most good. The payment of individual bonuses to veterans was considered. After lengthy debate, however, the General Assembly decided that the money would be set aside in trust, with the interest, after investment of the funds, to be used for the benefit of needy veterans and their families. The legislation, Public Act 336 of the Session Laws of 1919, was the genesis of the Fund. 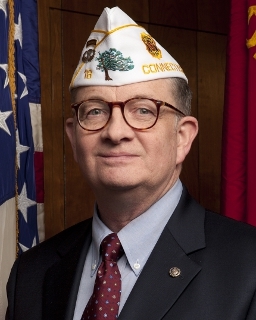 The partnership between The American Legion and the State of Connecticut in serving Connecticut's veterans is unique in the nation and has achieved remarkable results. There have been but nine Administrators of the Fund since its inception in 1919, and each has served concurrently as Department Treasurer of The American Legion. The majority of the Fund Representatives in the municipalities are volunteer members of The American Legion. For more information visit the SSMF on the web at www.ct.gov/ssmf.